Ganna Design, the practice in charge of this apartment renovation, intended to give the house a clean yet cosy environment. 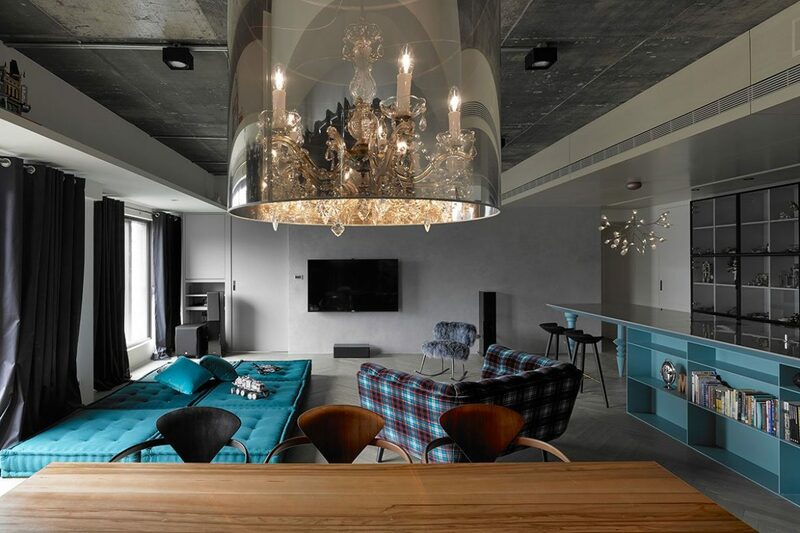 Located in Taipei, Taiwan, the apartment provides its occupants – a family of four – an uncluttered yet playfully rich atmosphere to live in, winning a couple of awards for its designers along the way. Shall we take a look? 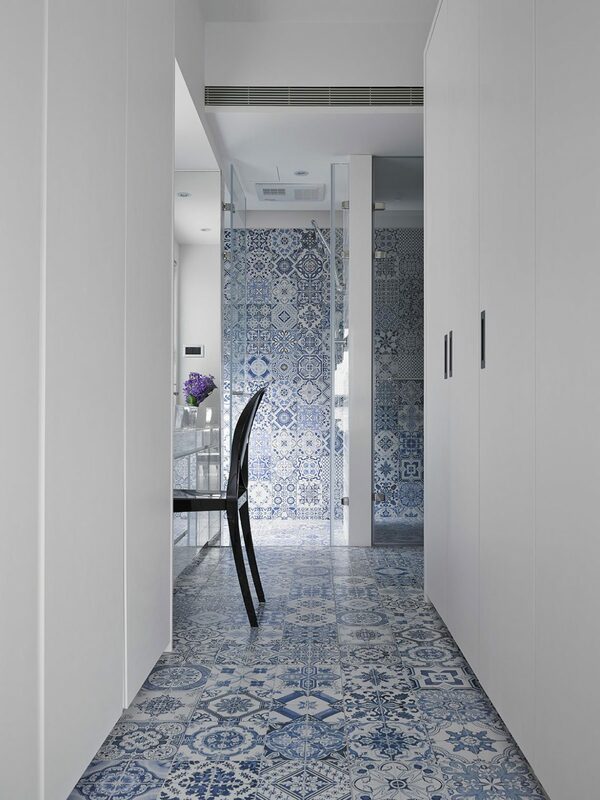 The apartment has been conceived as an open-plan living space around which the three bedrooms for the parents and their two teenage boys are then arranged. With large windows on two sides providing abundant daylight and breathtaking views of the city, the living room incorporates an open plan kitchen and a dining space thereby making it the family’s hub. Most of the furniture has been loosely arranged for the owners to re-configure at will. 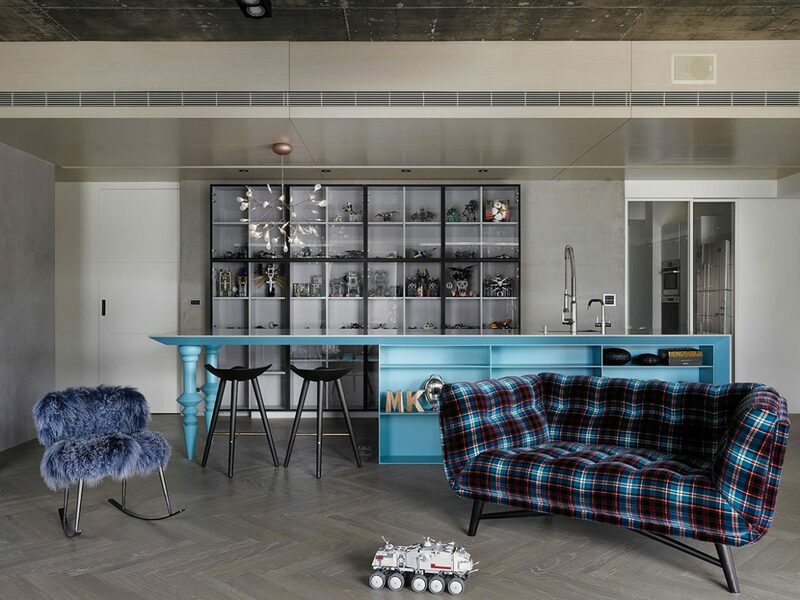 The six sofa-mattresses placed on the floor are central to this concept as they can be moved around or placed on top of each other according to their daily activities just like Lego bricks. The customized glass-case display behind the counter that features the boys’ Lego collection enhances this overall sense of a sophisticated playroom, whilst a dramatic touch is added through the imposing dining chandelier and the dark curtains. 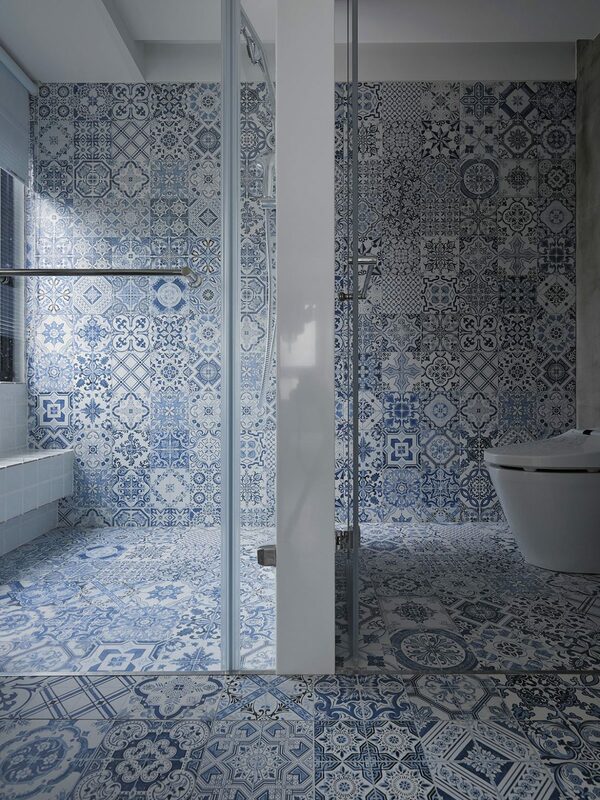 The master bedroom retains the overall toned-down shades seen in the living area, but is embellished by the light-blue patterned ceramic tiles that cover both the floor and walls of the open-plan en-suite bathroom and walk-in wardrobe. The finishes the designers have chosen combine in their own words “the rough and the delicate” exemplified in the exposed concrete ceiling and the light colored, veneer flooring. 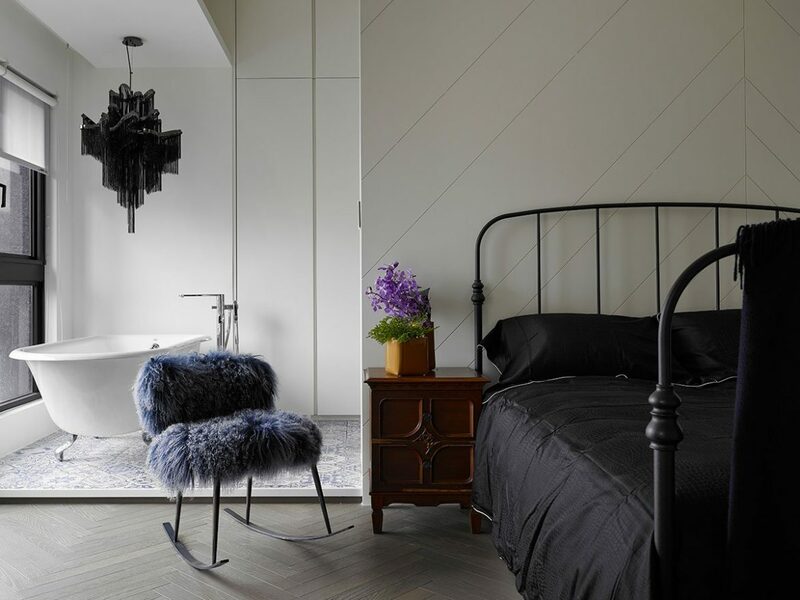 Similarly to the living room, darker elements such as the iron-cast bed and the black chandelier above the free-standing bathtub provide darker shades and a taste of theatrical pizzazz in an otherwise modest apartment of understated elegance.